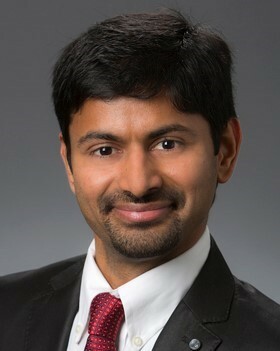 Dr. Sagar Sarsani is currently a Staff Scientist in Engineering Sciences Department in Corporate Research & Development at SABIC Technology Center (Sugarland, TX). He obtained his Bachelor’s in Chemical Engineering from IIT Bombay, followed by an MS and PhD in Chemical Engineering from the Center for Environmentally Beneficial Catalysis at the University of Kansas. His career began in 2007 at Dow Chemical (Freeport, TX) as a Sr. Research Engineer where he worked on projects ranging from basic chemicals to fine chemicals to polymers, with a focus in reaction engineering and catalysis. In 2013, he joined SABIC, where develops new catalytic processes for conversion of natural gas to chemical intermediates. He has over 25 patent applications and 10 publications in refereed journals. He is a member of AIChE and routinely chair sessions on ‘Catalysis & Reaction Engineering’ at AIChE annual meetings. The presentation will start with an overview of various stages in the research & development of new chemical processes in industry and the metric commonly used in R&D to rank and prioritize projects. It then follows on to the personal traits required to be successful researcher, based on personal experiences and learnings from the senior leadership in the Industry. Practical examples are provided to show the timelines and challenges in the development of new breakthrough processes. For those chemical engineers not in this career path, this talk will provide a flavor of what it’s like in R&D and hopefully a better understanding of research engineers. Costs: There is no registration fee. The South Texas Section will subsidize lunches by $5 per attendee. Your cost will be only $11 (fixed price). STS members as well as non-members are welcome to attend. We only request that you pre-register at the STS-AIChE.org website so we can get an accurate head count for the restaurant. Because this is a buffet lunch, it is important that you cancel if you are likely to be a No-Show, because the STS has to pay the full cost of meal regardless. Similarly, even if you decide to attend at the last minute, let us know before 5 am Friday morning by contacting one of us so we can ensure that there will be food for you. Have suggestions, ideas, comments or want to recommend a speaker for future FF-PNF events? Please contact Fabian Solberg at fabian1221@hotmail.com or 815-307-5746. For questions about this particular event, please direct them to Jimmy Kumana at jkumana@aol.com or Onesimus Haruna at 832-303-5541.